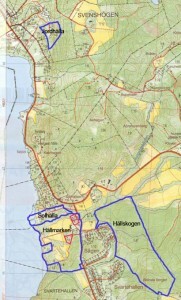 On this map you can see the different areas of Svenshögen. 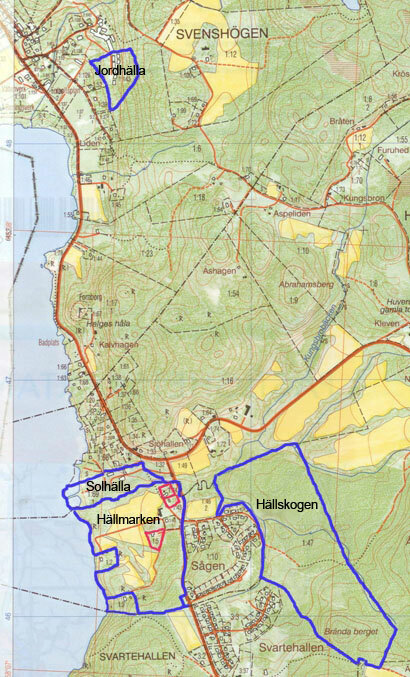 We call the whole area Hällungebygden. You can also find Solhälla on the map. Hällskogen is the forest that friends in the village have bought in order to restore . Hällmarkens förening is caretaking and developing the extraordinary beautiful landscape by the eastern beach called Hällmarken. Jordhälla is a residential area where many friends live close to each other. Many of them run their own businesses. Here you can find links to the organisations and to friends with their own businesses in the village or close by. Here is a link to the Magazine Free which you can read on the net (in Swedish).